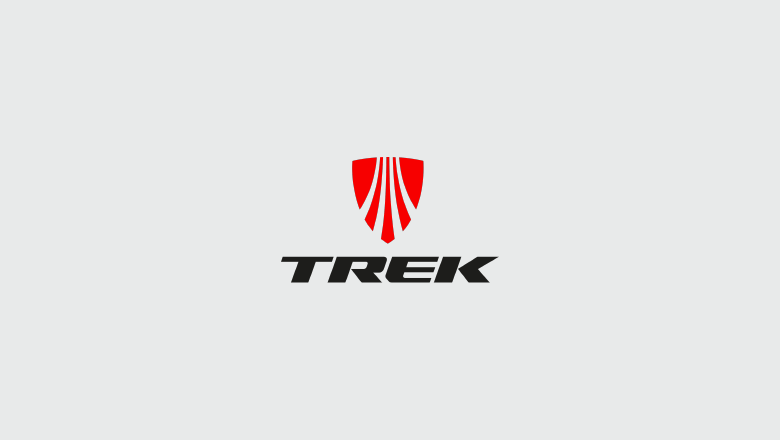 Trek Bicycle brands include Trek, Electra Bicycle Company, Bontrager, and Diamant Bikes and offer everything from beach cruisers to racing bikes. 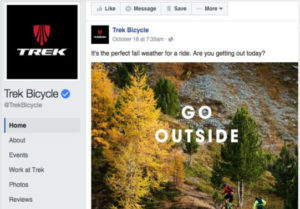 Trek boasts social audiences of 900K+ on Facebook, 400K+ on Instagram, 200K+ on Twitter, and 74K+ on YouTube, some of the largest in the industry. 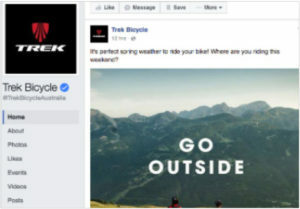 With a presence in over 90 countries Trek Bicycle, one of the world’s largest bicycle manufacturers, needed to find a way to create unique content across markets while ensuring a consistent brand and growing brand awareness. They used Simply Measured social analytics solution to identify the content types that performed best for them and shared wins with teams across the globe. Build a consistent global brand with compelling brand messages. Standardize measurement across brands, social networks, and regions. Identify the content types and campaigns that resonated most with their audience. Start by leveling the playing field. 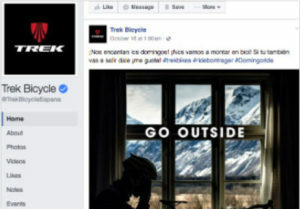 Trek identified the metric they could standardize performance on: engagement per post. Tracking the change in engagement per post over time helped them measure performance regardless of region or audience size. With this standardized metric they were able to understand the types of posts that were getting the best results. Once the measures of success were defined they shared the performance of each region globally. This not only fostered spirited competition between teams, but allowed teams to learn from one another. Evaluating and informing content decisions. Monitoring their brand to analyze engagement performance. Communicating successes to global teams. 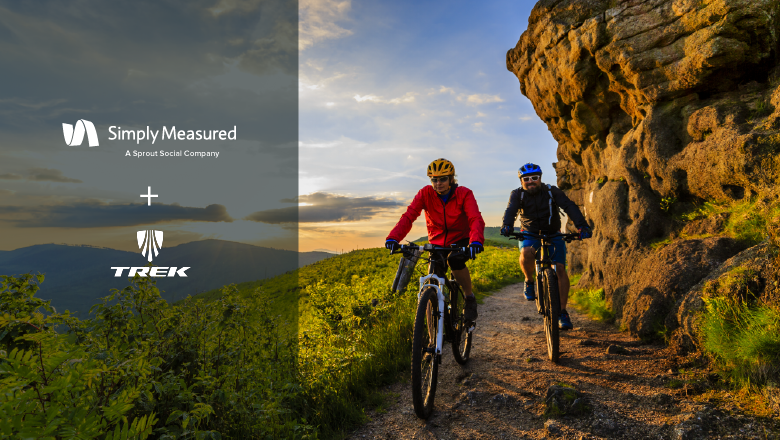 Trek finds the completeness of the Simply Measured solution especially valuable given the number of profiles they manage.